The latest Google Penguin updates have greatly changed the link building game, making it a very different task with new rules and considerations. Before the Google Penguin updates, marketers and SEO strategists were able to simply purchase links from dealers and have those links escalate their organization’s ranking on SERP. However, this is no longer the case. The updates have made link building a much more regulated process, including a new requirement for long term success that we build links only from Google-trusted domains. As pointed out by Jason Brooks, Citation-style links earn more credit with Google, but this requires citations from established sites that Google trusts; for obvious reasons, it is difficult to earn links from these types of sites. 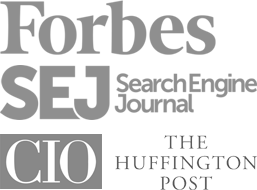 So what are marketers and SEO specialists to do to earn these links? Here are some of my tips. Generally speaking, being first (or one of the first) to the news is a great way to secure high Google SERP rankings. Easier said than done, considering the ever quickening news cycle, but being among the first to comment on or blog regarding the latest news or current events places your pages higher in the Google search rankings. Beyond being first to post, you need to post high-quality, relevant commentary about that news item – and then keep it updated. Because timeliness could be so important to the Google algorithms, the algorithm checks for both with each piece of content. For example, if you search for an ongoing event such as the “Olympic basketball games” on Google during Olympic, you will find information relevant to the most upcoming games first – and within those results, the most recent news items (think game schedule, latest results, and player injury news). This is because Google makes the assumption, unless otherwise specified in your search term, that you are interested in the timeliest information for the most relevant item to today’s news cycle. Keep your content quick to publish and relevant. Speed is the name of the game here. Free tools that are of interest to the general public and that are relevant to your site are likely to be viewed favorably by Google. Once again, relevancy plays an important role – so make it easy for the Google algorithm to link the relevancy of your free tool offering to your overall website. The idea is to attract links from websites and blogs that are relevant to yours. For example, if you run a mortgage information site, you might offer a free loan calculator that allows visitors to calculate what type of mortgage is best for them based on income and previous financial commitments. Who doesn’t love learning more about themself? Surveys are free, fun, and interesting – and best yet, they are a great way to create and secure quality raw, original data that will provide your organization with new insight that can then generate original, newsworthy content (links!). As an added benefit, when people contribute to your research by participating in the survey, they have an increased likelihood to track the progress of your research and watch for the results, ultimately linking to you as the source of the data. Crowdsourcing is a way of publishing new data and insight, citing the opinions and input from others in the industry. This again takes a bit of work upfront to research people you would like involved and secure their participation, but the work upfront can pay off in dividends. The idea behind crowdsourcing posts is that you publish relevant, original content that provides value to the public while securing buy-in from other industry experts. Because the other industry experts are involved, they will want to publicize their involvement which makes them more likely to link back to your post from their own blogs, websites, and social media networks. This post by Adam Connell for example, drew in more than 2,000 social media shares plus 100 legit back links (via Majestic SEO stats) in just one month. Importantly, while this is a valuable marketing and link building strategy, overusing this tactic will backfire as it will overtake your blog with other people’s opinions and expertise. Use it sparingly so that it is a resource and addition to your blog and not the sole or main source of its content; you still need to be (and be seen as) the expert. Sponsoring an event or speaking at an event is a great way to gain visibility for your organization. Although this is not a direct link building activity, it is still a great tool to add into your arsenal to provide diversity in strategic tactics. After all, link building is not limited to solely online activity; it occurs offline, too. In this case, you will make use of the publicity that events typically provide to their sponsors and speakers which often include logos, mentions, and links from the event website and email promotions, not to mention social media activity. This method is likely to secure you traffic and links from an outside, reputable source external from your own site. Even with the new algorithms, quality content remains key. Write detailed case studies, 101 lists, feature exclusive interviews, and more. Promote your content via social media networks and reach out to others and ask for a link. To enhance the effectiveness of this tactic, work to expand your network to include well known bloggers who will be willing to share your work. Remember that to have impact and remain relevant, you must be consistent – writing one great piece every six months isn’t going to cut it here. Guest blogging remains the best way to build legitimate, great ranking links. However, to gain the maximum impact, make sure to carefully study and review blogs before trying to secure a guest post spot. Forget about Google PageRank and make sure that any blogs to which you will publish content are legitimate, provide quality content, and have a steady following of readers who are engaged. To ensure that you get the best results possible from your efforts, check out Adam’s post on how to make blogger outreach work for you. Bonus: I have a list of web development-relevant sites that accept guest posts, what their guidelines are, and who to contact. Do make use of it if that’s what you are looking for. Link building remains a science that involves creativity, research, and strategy – not to mention flexibility to change tactics and stay on top of the ever evolving Google algorithms. Bring the above tactics to your link building strategy to become an industry content leader with great search result rankings. Have any tips or insights I haven’t thought of? Let me know.